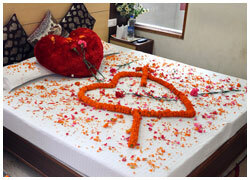 We Offer Himahal Honeymoon Packages from Delhi, Mumbai, Nagpur, Bangalore, Kolkata, Chennai, Hyderabad, Ahmadabad and Pune. 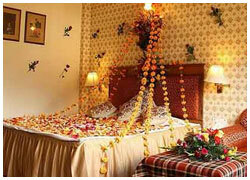 Book from 11 Best Honeymoon Packages for honeymoon couples with lowest cost. Get best deals and offers on all inclusive honeymoon packages with airfare and Without. Delhi-Kullu-Manali and drive back to Delhi. Delhi - Shimla - Kullu - Manali- Chandigarh-Delhi-Agra-Delhi and drive back to Delhi. Delhi - Kullu - Manali- Chandigarh-Delhi-Agra-Delhi and drive back to Delhi. Delhi- Kullu- Manali- Chandigarh- Delhi-Fly back to your place. 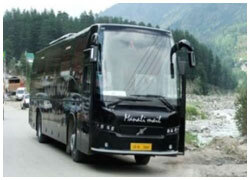 Delhi – Dalhousie - Khajjiar - Chamba - Dalhousie and drive back to Delhi - Fly back to your place. Delhi - Dharamshala – Kangra - Palampur – Dharamshala and drive back to Delhi - Fly back to your place. Delhi - Shimla - Kullu-Manali - Dharmshala - Dalhousie and drive back to Delhi. Your Honeymoon is one of the best times of your life. When you start a new chapter of your life, it is the best you do it with celebration and positivity. The addition of a new person in your life requires understanding and bonding for a smooth life ahead. Every couple starts about their married life by going for a honeymoon where they spend time together and get a chance to know each other better. 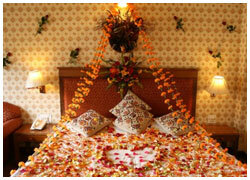 Incredible Himachal Holidays offers you best Honeymoon Packages, Manali Honeymoon Package tour, Honeymoon Packages etc. 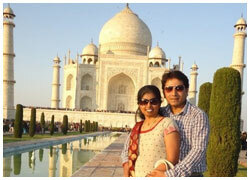 Are you delighted for your honeymoon vacation This is one such escape you will treasure for the rest of your life. It is a once in a lifetime opportunity to have fun and give a good start to your love and romantic life. There is no famine of honeymoon places in Himachal. Be it the hushed and isolated Dharamshala, lively and vivacious place of Dalhousie, honeymooners city of Manali or Mini Switzerland of India- Khajjiar, Shimla Manali is the perfect destination to spend a time with the most special person in someone's life. Couples deserve to plunge in the delights of a tropical heaven while being taken care of each and every single desire. Honeymooners can lose themselves in maximum comfort and opulence with our honeymoon travel packages. We offer personalized packages for the couples that will take them to one of the beautiful honeymoon destinations in Himachal.